The lining of the gastrointestinal system covers a surface area of almost 2,700 square feet, the size of a tennis court. It requires about 40% of the body’s energy expenditure, to function properly, while the brain requires only 20%. So, what does that say; the gut lining is extremely important for our best health. Leaky Gut Syndrome is an increase in permeability of the intestinal wall to larger molecules, antigens, and toxins associated with the inflammatory process. 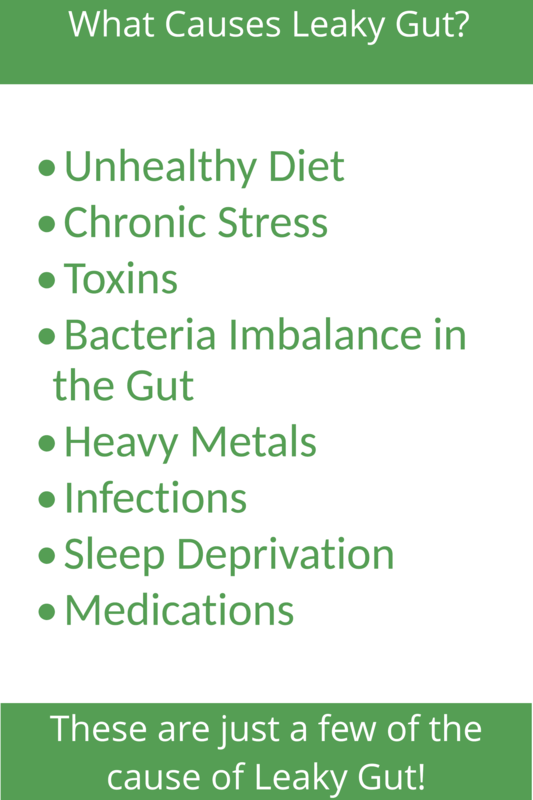 A more simple description is, large spaces develop between the cells of the gut wall, and also through the cells, permitting bacteria, toxins and food to leak into the bloodstream, causing a range of destructive reactions, which if left untreated, can result in chronic illnesses. Leaky Gut Syndrome results in inflammation of the intestinal lining, and the tiny villi, where nutrients are absorbed, become damaged. When this happens, damaged microvilli are then prevented from creating enzymes and secretions, needed for a healthy digestive system, and effective nutrient absorption. Leaky gut prevents the gut barrier’s capability of doing it’s regulatory tasks. This is when a multitude of symptoms happen, that can lead to a more serious illness. 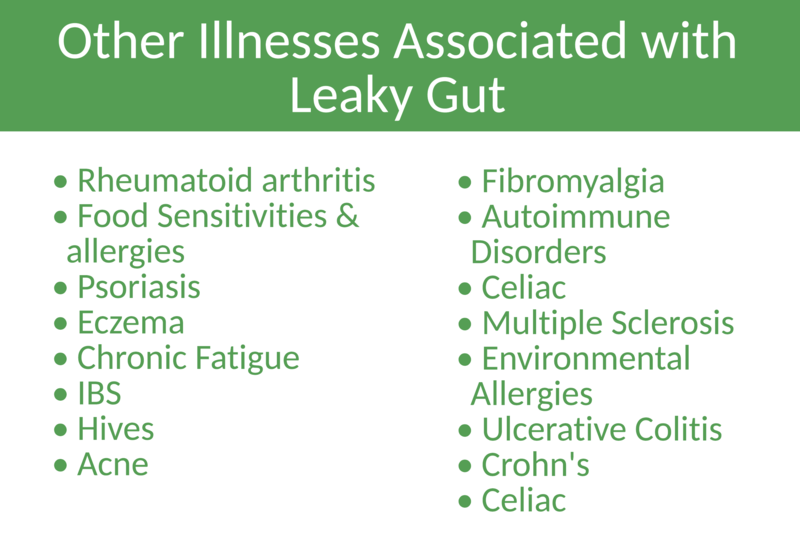 What contributes to Leaky Gut? 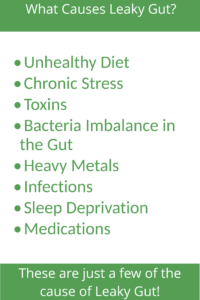 An obvious factor is our western inflammatory diet, lack of fermentable carbohydrates, lack of fermented foods, infections, toxins, bacterial, viral, parasitic infections, fungal overgrowth, heavy metals, mold, etc. Certain medications, like proton pump inhibitors, antibiotics, or NSAIDs; lifestyle factors like chronic stress, or sleep deprivation, and too little or too much physical activity. Also, sterile environments: There is a theory that cleaning up environments, and making them more sterile, even though it has reduced acute infections and saved many lives, have actually contributed to immune issues because our immune systems were not properly stimulated during childhood. 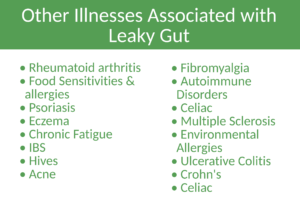 Other factors that can contribute to leaky gut, such as chronic inflammation, intestinal bowel overgrowth, (SIBO), or gut-brain axis problems, and there is actually some genetic susceptibility to leaky gut. 877-428-0555, or send us an email!